PHILADELPHIA (WPVI) -- The man accused of shooting at police and leading them on a chase through several North Philadelphia communities has been formally charged. 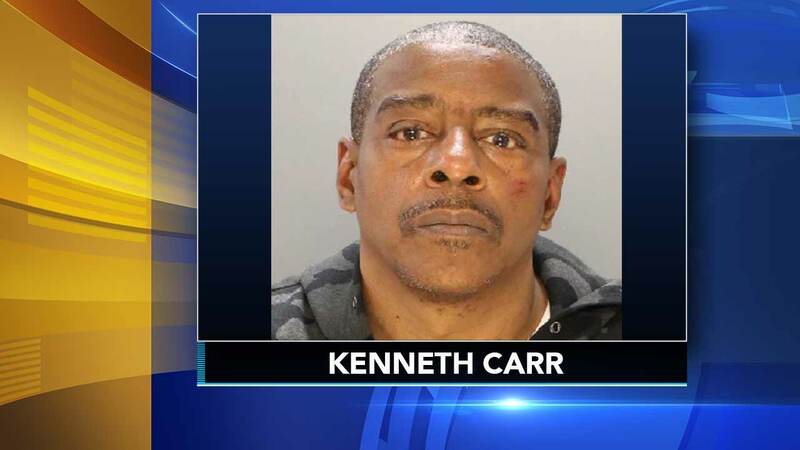 The Philadelphia District Attorney's office says Kenneth Carr faces several charges including assault on police in connection to the Monday incident. Police say they were investigating a robbery when they spotted a car that fit a description of the suspect's vehicle. They say the driver sped off and fired shots at the officers. During the chase, two patrol cars crashed at Broad Street and Somerville Avenue, but no one was seriously injured. Police eventually arrested the suspect in Philadelphia's Logan section.